For more than 60 years, an elephant dubbed F_MU1, roamed the plains in a quiet corner of Tsavo East National Park in Kenya. 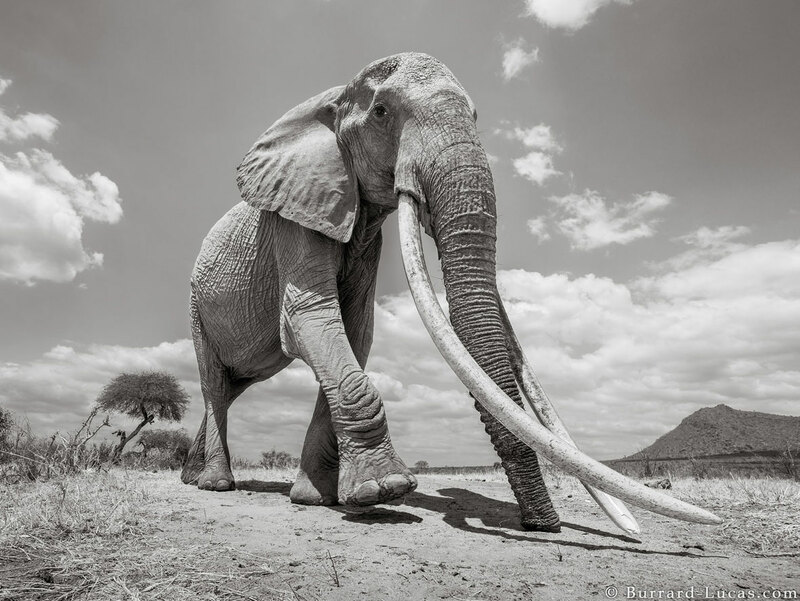 With tusks long enough to touch the ground, she was one of Africa's few remaining "super tuskers". 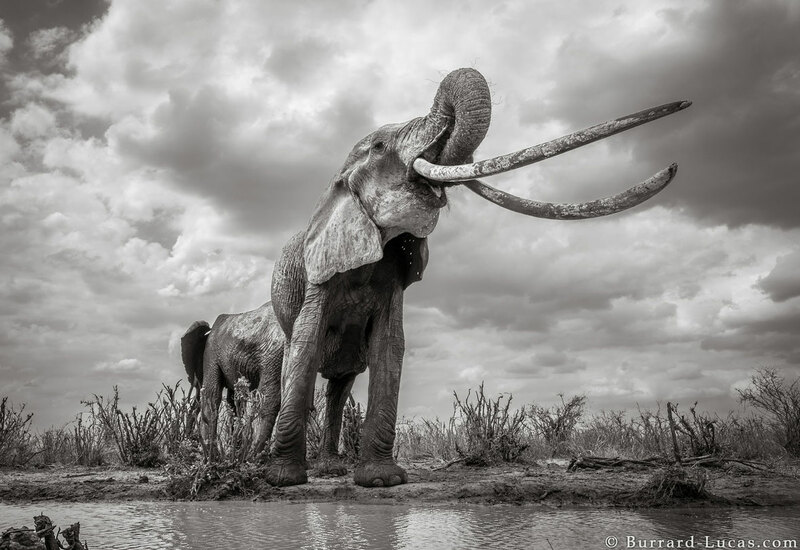 Shortly before the elephant died of natural causes, wildlife photographer Will Burrard-Lucas immortalised her in a series of incredible photos. "If there were a Queen of Elephants, it would surely have been her," Burrard-Lucas told BBC Newsbeat. When he first set eyes on her he was awestruck. "She had the most amazing tusks I had ever seen. If I hadn’t looked upon her with my own eyes, I might not have believed that such an elephant could exist in our world," he wrote in a blog post on his website. The tuskers of Tsavo, one of Kenya's oldest and largest national parks, boast unique genes that produce enormous tusks. 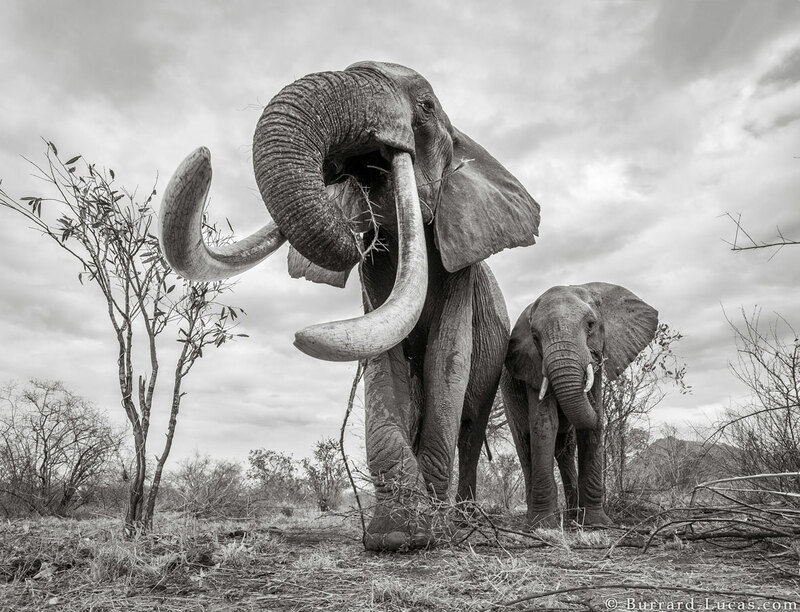 Although such giants once roamed across much of Africa, fewer than 20 "big tuskers" – elephants with tusks weighing in excess of 100 lbs on each side – are left in the world and almost half of them live in Tsavo. 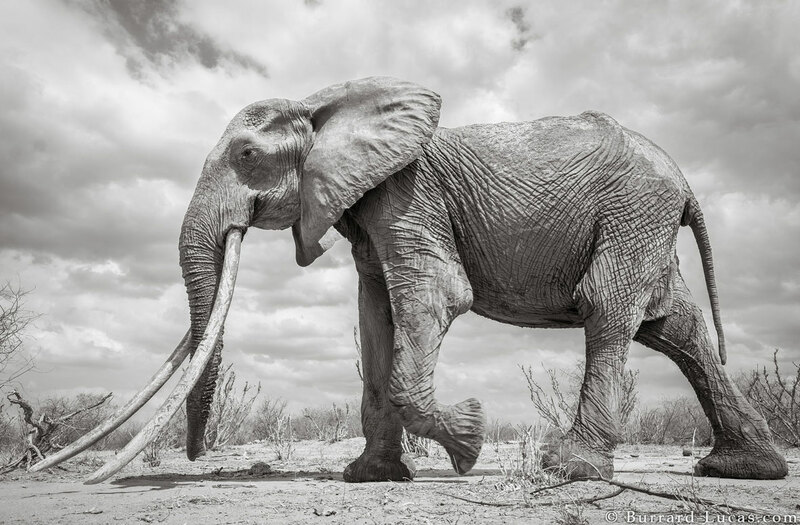 In partnership with Tsavo Trust and Kenya Wildlife Service, Burrard-Lucas spent 18 months photographing some of the area's remaining tuskers for a book called Land of Giants. He describes his first encounter with F_MU1 in a blog post: "F_MU1 was skinny and old but she strode forward with stately grace. Her tusks were so long that they scraped the ground in front of her. She was like a relic from a bygone era." Sadly, the same feature that gives elephants like F_MU1 such massive appeal is also a draw for poachers, forcing conservationists to fight a constant battle to protect the remaining giants. In 2017, the carcass of a tusker called Satao 2 – named after a famous predecessor who was killed by poachers a few years ago – was discovered during a routine aerial patrol. It is believed that he succumbed to a poisoned arrow. 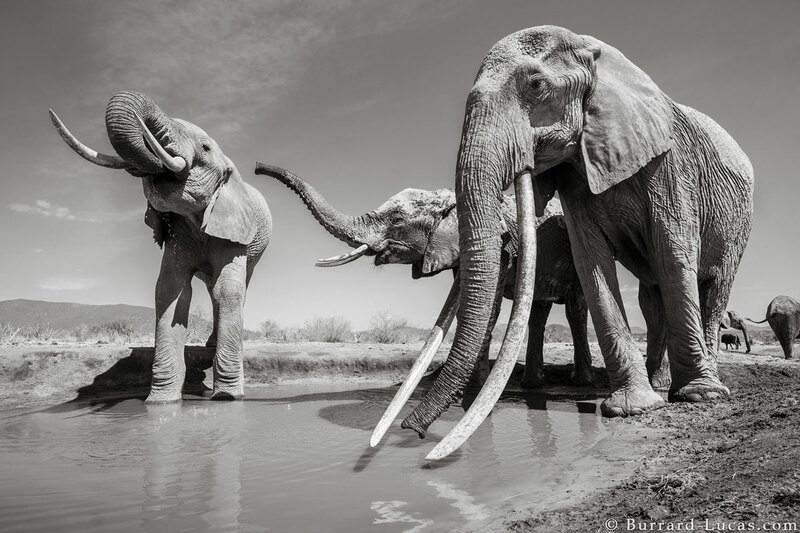 "Super tuskers are very rare these days, precisely because their big tusks makes them prime targets for trophy hunters," Dr Mark Jones from the Born Free wildlife charity told the BBC. "Because these animals are all-too-often taken out before they have reached their reproductive prime, super-tusker genes are being bred out of elephant populations, and we could very well be seeing the last of them." Despite the ever-present threat of poachers, F_MU1 lived to adulthood and then some. "She had survived through periods of terrible poaching and it was a victory that her life was not ended prematurely by a snare, bullet or poisoned arrow," writes Burrard-Lucas. The final photo taken of the Elephant Queen was at a waterhole. "The time I spent with her was a real privilege." Footage from Burrard-Lucas's Beetlecam featuring shots of F_MU1. The carcass of "Satao 2" was found during a routine aerial patrol in Kenya's Tsavo East National Park. An exciting new survey has revealed 12 previously unknown tuskers may be walking tall in South Africa's Kruger National Park. 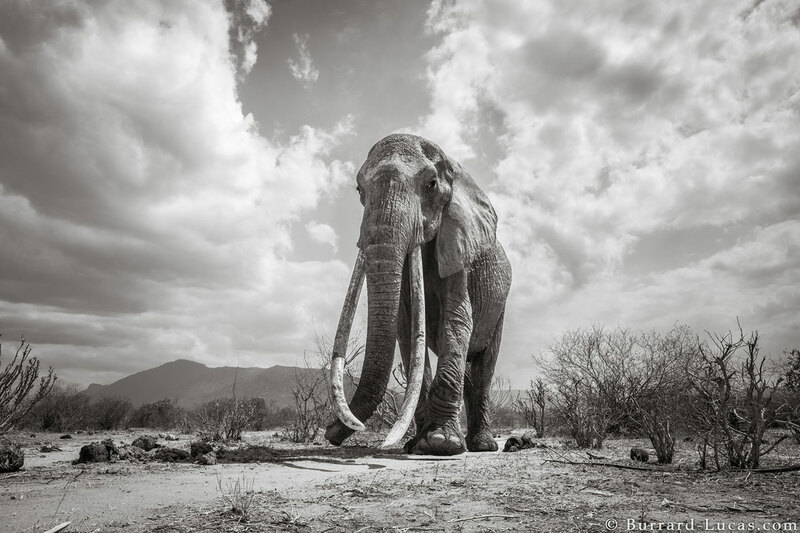 Poachers have killed one of the world's last remaining 'great tuskers' in Kenya, a legendary elephant known as Satao.